A 21-story mass timber building proposed in Milwaukee, Wisconsin, has won preliminary approval from the city. If construction moves forward as planned, the Ascent tower would become the tallest mass timber building in North America. Image credit: Korb + Associates. 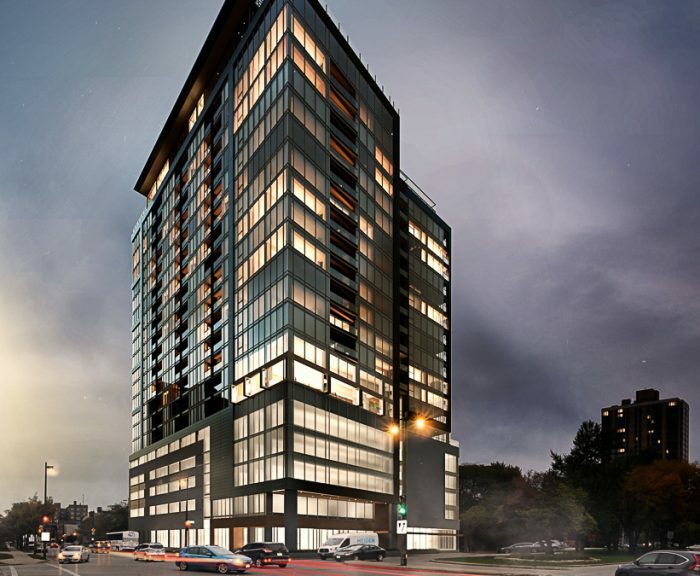 In Milwaukee, a city panel has given preliminary approval to plans for a 21-story apartment building whose upper floors would be built with mass timber components instead of steel. The 238-foot-tall tower would become the tallest mass timber project in North America, according to an article . Construction of the “Ascent” tower would start later this year. 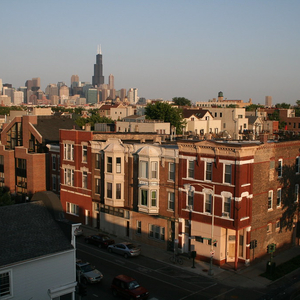 The first four floors, housing a parking garage, would be built conventionally — with concrete. 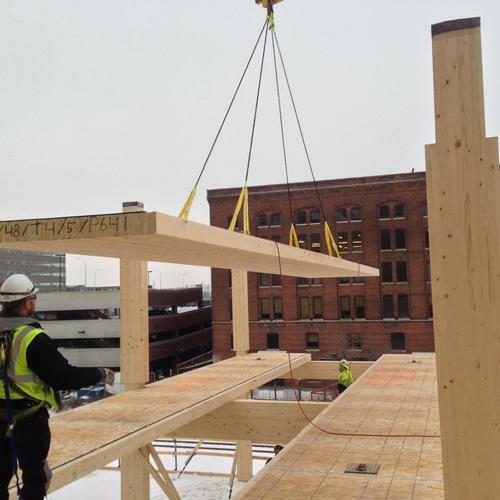 From there up, mass timber will replace steel and concrete structural components. The tallest timber structure built to date is an 18-story student housing complex in Vancouver, Canada, but a number of taller projects are in the works. Advocates like mass timber buildings because they have less embodied carbon than conventional high-rises made with concrete and steel. 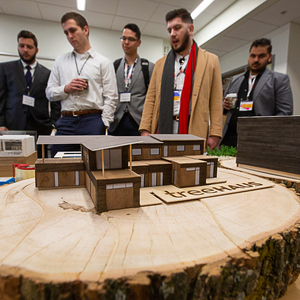 Using prefabricated components that have been manufactured off-site also speeds up construction, and the aesthetics of leaving some wood exposed is a plus for some designers. The architect for the Milwaukee project is of Korb + Associates who detailed the project for the City Plan Commission late last month. The panel unanimously voted to recommend the building for approval when it goes before a Common Council committee. Mass timber construction is unusual in single-family houses. David Murakami Wood built a house from prefabricated timber panels in Ontario in 2016, a project he wrote about in a series of posts at GBA called Wolfe Island Passive. 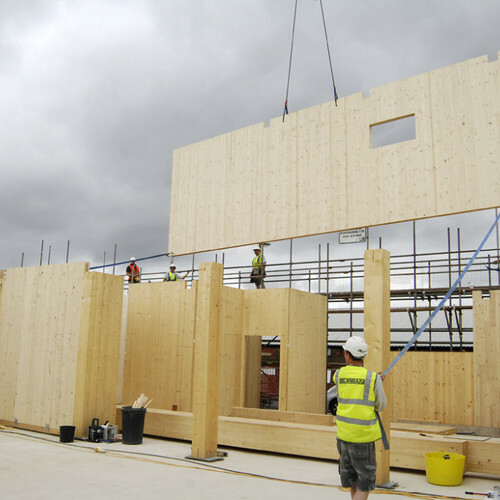 The cross-laminated timber (CLT) walls were more than 4 inches thick, which Wood insulated with a continuous layer of fiberboard. Building a house with conventional framing materials would have been much easier. But using mass timber to build high rises is another story, and a number of projects have either been completed or proposed in the U.S. and abroad. In Japan, a wood products company called Sumitomo Forestry has proposed a 70-story timber skyscraper, according to the website . The design is a hybrid that would use both wood and steel components. 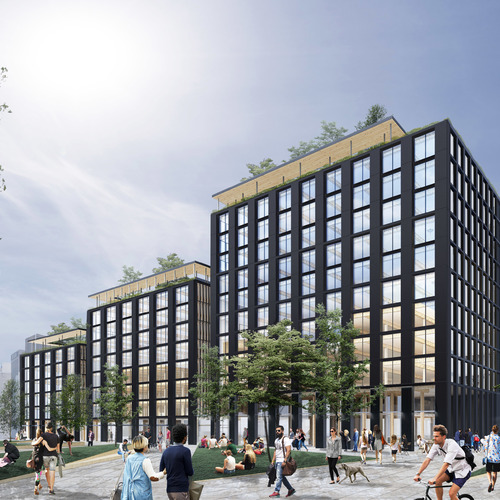 Tall mass timber buildings may become more common now that the International Code Commission has approved the use of materials such as CLT in buildings as tall as 270 feet, . The concern among building officials has been what happens to a mass timber building when it catches on fire. in a post last December that the ICC proposed 14 new provisions for tall-wood buildings, to be added to its 2021 code. 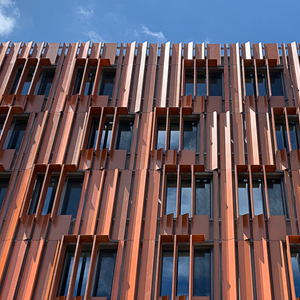 The changes will allow three types of mass timber structures, including an 18-story maximum in which gypsum wallboard must be used on all mass-timber components. Buildings up to 12 stories would be allowed to expose limited areas of mass timber walls and ceilings. In buildings up to nine stories, exposed timber surfaces would have to be designed for two-hour fire resistance. The Portland Cement Association has been a critic of tall wood construction. 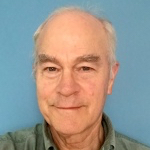 But the ICC’s ad hoc committee on tall wood buildings , including concerns that wood offer as much fire protection as steel and masonry buildings. So much for our Cream City Brick! 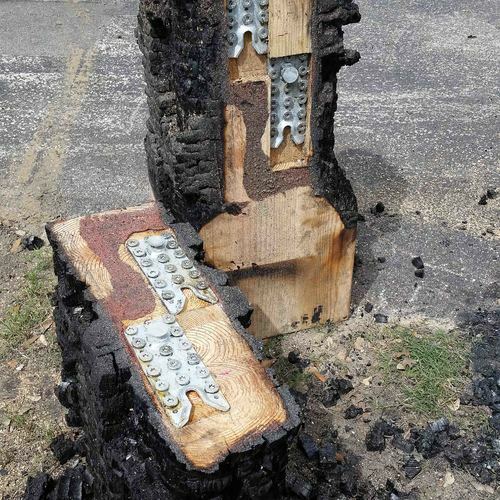 Our fire departments here in WI have shown you just can't burn old timber, many derelicts have tried. If it does, beer will put it out. 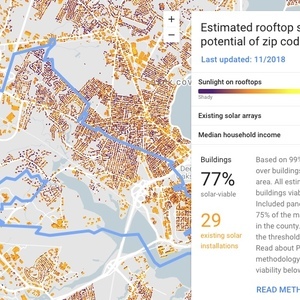 Milwaukee Shines is also very progressive with all the solar PV being installed. We're way more than just brewers these days. This one across the straits from me is already up! There is a whole world of info out there, besides this site, on this internet thing, check it out.